Originally written for the Blue Ribbon Flies blog, this is my suggestion for a better way to evaluate fly rods. Thirty years in the fishing business have given me the opportunity to watch a lot of anglers evaluate a lot of rods. Most evaluations have been part of the rod buying process. Other times they’re just for personal edification. In almost all cases, I see a methodology used that I think could be improved upon. Most evaluations I observe take place on the casting field. Nothing wrong with that, but I notice that most fishermen are not at all clear about what they should be looking for. What passes as an evaluation is frequently nothing more than repeated attempts to throw as long a line or as tight a loop as possible. For certain applications—some kinds of saltwater fishing, perhaps—this method of evaluation can occasionally make sense. However, even when distance is important it’s seldom the primary consideration. I’d wager that most of these distance casting displays merely act as substitutes for a lack of fundamental knowledge about how best to evaluate a rod. One consequence of this narrow form of testing is that it becomes easy to misjudge a rod’s quality. (Which in turn compromises our ability find a rod suitable to our needs.) So while casting a rod is important, rarely should we be concerned only with distance. Here’s a different approach. Ask: What is the rodmaker trying to do? This provides an essential framework for an evaluation. After all, if we don’t know what a rod is designed to do, on what basis are we supposed to judge it? There is simply no substitute for knowing the intentions of the rod designer. Towards this end, gather together all the relevant design parameters you can—the kind of fishing for which the rod is intended, the species and size of fish, casting distances, line weight, line control requirements, etc. Absent this information, the only recourse is to apply our own knowledge regarding suitable conditions for the rod. Maybe our assumptions mesh with the intentions of the rod designer, maybe not. If not, the integrity of our evaluation is compromised. This is why evaluating a rod by using a personal agenda (instead of the rodmaker’s) is a bad idea. Obvious places to find rod design information are company catalogs and websites. Unfortunately, too much of what you’ll find today is of limited value. Advertising agencies seem to reign supreme over catalog and website text. Witness, for example, the “rocket” and “cannon” rods available to us now (both of which will come in real handy the next time you want to blow up your favorite water). You’ve undoubtedly read the breathless descriptions of new graphites, new methods of construction, high-tech reel seats, low-friction guides and, well, you get the picture. If a catalog or website description is weak or uninformative, call the company and ask for the information. That should work. If that approach is unappealing or (heaven forbid) fails, it’s sometimes possible to infer a rod’s general design parameters through a knowledge of line sizes and their appropriate uses. Of course, you have to be careful here because certain line sizes have multiple and varied uses. 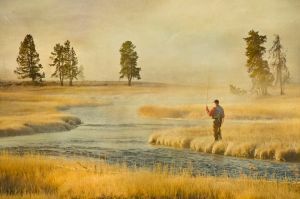 For example, I fish a five-weight line when sight-nymphing the Madison River. A long cast is twenty-five feet. I use the same five-weight line for gulper fishing on Hebgen Lake, but here casting distances can reach to seventy feet or more. I use a different rod in each situation. Both are five-weights and both are excellent performers—when used in the context they were designed for. Outside of that, not so much. Context is everything, which means there is really no substitute for knowing a rod’s design parameters. Once you know what a rodmaker is trying to do, ask: Does he do it? The best way to answer this is by actually going fishing. Use the rod under the exact circumstances for which it was designed. You’ll then be in a position to assess whether or not the rodmaker’s objectives have been met. I know it’s not always possible to demo a rod. In lieu of this, useful judgments can be made through extensive casting. But I counsel caution. It’s all too easy to end up with your own agenda in mind and not that of the rodmaker. Spend plenty of time casting, but remember to measure the rod’s performance against its design criteria. The question, Does he do it?, will strike some fishermen as highly subjective. They’ll argue that determining whether a rod works, or how well it works, is always a matter of opinion. I disagree, and buttress my contention by returning to our first query: What is the rodmaker trying to do? If we know exactly what is being attempted, I think it’s possible to say whether or not it’s been accomplished. Again, it’s just a matter of knowing the design parameters and testing the rod within them. Ambiguity arises only when it isn’t completely clear how a rod is to be used. Should you find a fly rod that meets its design criteria, I suggest a final question: Was the rod worth building? Meaning, are the design criteria reasonable? Practical? It’s not enough for a rod to perform a given task; it has to be a task worth performing. (Who needs a ten-weight rod that protects 7x tippet?) So make sure a rod’s design criteria are applicable in the real world. After answering these questions, we should be in good standing to judge a rod’s quality. By concentrating our efforts on the intended design features and ignoring personal biases towards particular rod characteristics, our evaluation should be able to withstand scrutiny. It should prove especially useful to less experienced fishermen searching for good information. At this point I almost always establish a personal opinion about a rod. That prepares me in case a shop customer asks what I think. But I continually remind myself that likes and dislikes are personal matters, not to be confused with statements about quality or the suitability of a rod for someone else. How should a rod evaluation relate to a buying decision? First, establish your needs. 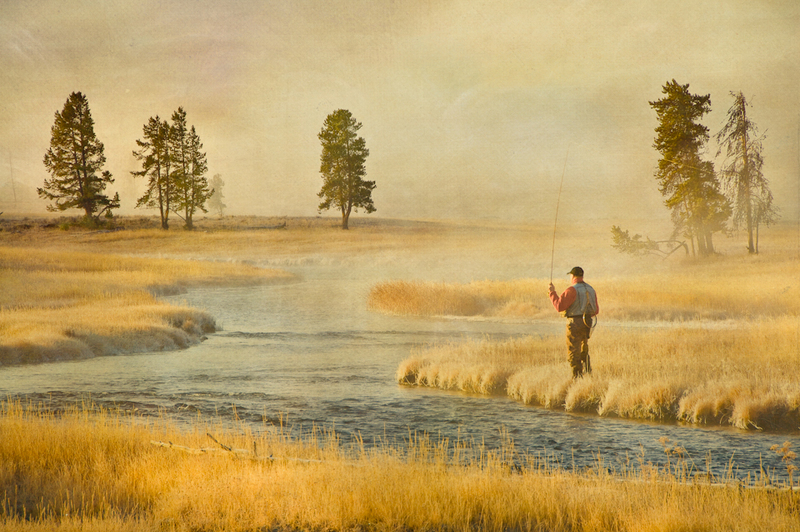 Think hard about the fishing you’ll do and the demands that that fishing places on a rod. Be as precise as possible. Once your needs are established, look for rods where your needs and the rodmaker’s intentions are aligned. Here, you won’t always be completely successful. Most likely you’ll find several rods with parameters close to what you need but not exactly right. Minor concessions might be necessary. Just find the closest possible fit. If you can, fish the rod before buying it. Asking and answering What is the rodmaker trying to do?, Does he do it?, and Was the rod worth building? form a fundamentally solid evaulation methodology. Follow through with them and the quality of a rod will become apparent. Relate that quality to your own needs and desires, and you’ll be on your way to making a wise purchase. Whatever you decide, rest comfortably knowing that your decision was informed. That’s better than the majority of fishermen ever do.